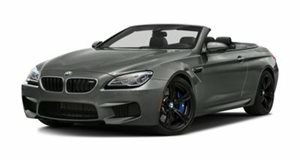 The gorgeous M6 Convertible will make its debut at the New York Auto Show next week. The muscular M6 made its debut at the Geneva Motor Show last month, showing off its new chiseled features and improved power capabilities. And next month in New York, its open-top sibling will take a bow. This will be the first time the convertible is seen in the flesh, having already been aired in a few photos online. The decision to unveil the open-top M6 on American soil is due to the fact this is where convertible models are most popular. Under the hood, the M6 convertible gets the same 4.4-liter twin-turbo V8 engine powering the coupe and that also features in the M5 sedan, so will have 560hp and 500lb-ft of torque to play with. Mated to a seven-speed M double-clutch transmission, this will be one of the fastest drop-tops on the road where it will be seen after it hits showrooms later in the year.